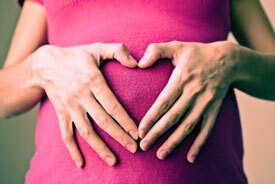 Chiropractic care if you’re pregnant? ABSOLUTELY! Keeping your spine free from the vertebral subluxation complex is one of the best things you can do if you are pregnant. Pregnant women should see a chiropractor more than anyone else. Your doctor of chiropractic will examine your spinal column for misalignments (called vertebral subluxation) causing spine and nerve stress. These subluxations damage the nervous system and affect the workings of the entire body. If subluxations are present, the chiropractor will correct them with a gentle chiropractic spinal adjustment in order to release the spinal stress. Without subluxations the body will function better, have higher resistance to disease and express more wholeness (health) than a body with uncorrected subluxations. That is the essential message of chiropractic. All this is extremely important for the pregnant woman who needs to have her body as healthy and strong as possible in order to handle the rigors of pregnancy and childbirth. Chiropractic care will help ensure that the reproductive and other systems so essential for a healthy pregnancy receive a nerve supply from the spinal column without interference. The slightest interference to the nerve supply could adversely affect the mother and the developing fetus. Another excellent reason for seeing a chiropractor during pregnancy is that it is a drugless health care system. Drugs, whether prescription or over-the-counter, can harm the growing fetus. There are so many things pregnant women worry about: staying pregnant, carrying the baby to full term, morning sickness, the baby developing normally, backaches, leg pain and if their labour will be safe and (hopefully) easy. Over the past 100 years chiropractic care has proven to help pregnant women by helping to maintain pregnancy, control vomiting during pregnancy, deliver full-term infants with ease and produce healthier infants. Chiropractic is very safe and very sensible for both mother and baby. Not at all. Chiropractors are trained in adjusting the spines of pregnant women and many chiropractic adjusting tables have special modifications and pillows for the pregnant figure. Patients have received adjustments even during labour, as that is when movement/shifting happens in the mother’s pelvic area. Can spinal care help postpartum depression? For years chiropractic’s beneficial effects on emotional stress and personality have been noted. At least one journal has quoted a doctor as saying that “postpartum depression is a rarity in patients receiving chiropractic care”. Chiropractic is not a treatment or therapy for back or spinal pain. However, with chiropractic spinal adjustments the body will be better able to heal its back and spinal pain, as well as many other health problems. Studies have shown a significant decrease in back and labour pains in mothers receiving chiropractic care. Not at all. Chiropractic should be used as preventive maintenance. Periodic spinal checkups during pregnancy should be as common as periodic weight checkups. Can my baby receive chiropractic? 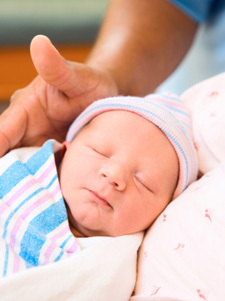 Infants a few hours old have been given spinal checkups and adjustments, if needed. A woman becomes a parent at the moment of conception. Every decision made from that moment on will affect her unborn child in some way. In order for her influence to have a positive affect, a woman must be prepared to make educated and informed decisions concerning the foods she will consume, the thoughts and images she will imprint on her baby’s developing brain, and the birth model she will embrace – technological, holistic, or humanistic. A female child spends her entire early life preparing for the possibility of motherhood so she can inadvertently make those decisions. For Your Information: Illustrated with more than 150 emotionally charged, color photographs of chiropractic families witnessing the miracle of birth, “Hands of Love,” Dr Phillips’ new book can be ordered by contacting the ICPA office at 1800 670 KIDS. Give our Ancaster chiropractic office a call today and let us help you live a long healthy life.